How are you today? I am good. 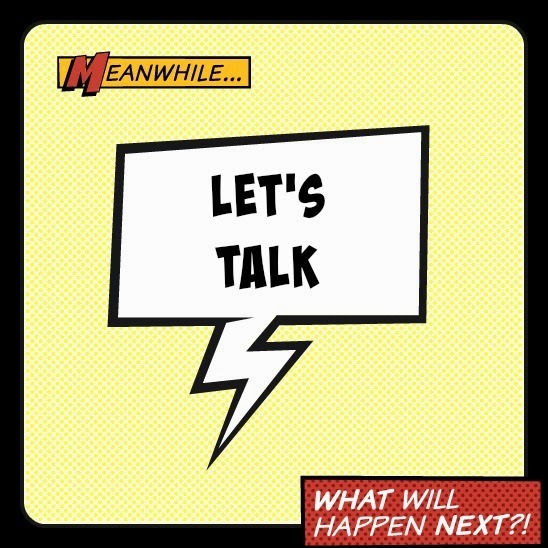 Welcome to my new series “ Let’s Talk” where, honestly, I am going to blabber :P.
And I would invite you to share your views on every “Let’s Talk” post. I am starting this because I want to share, interact with my readers :). I don’t want to be the only person on this blog speaking my mind! You all are most welcome to speak up! But I would like to tell you all this beforehand that whatever I write in this section would be purely based on what I think and not meant to hurt/ offend anyone or would not be against any social, political, cultural beliefs. Any and everything I write here would be simply what I think about a certain issue; you can also say whatever you like! I’ll start with something simple today. Something recently has been bothering me. Well, it always has bothered me. And that’s the dense smoke the next morning of Diwali; also the people who tie fire crackers to stray animals or throw crackers at them. I personally don’t have any problem with the sound, but it is always better if it is not overdone! I will not go on with the trend where people suddenly get cautious about something and share pictures on Facebook. I would just like to say that let’s have fun. Loads of fun , but let’s not over do something that is obviously going to harm a lot of thing! I have seen people burning crackers worth lakhs of rupees! And take pride in that! I would say it is an utter waste of money! If they want to burn that much of crackers and waste the money, why not spend half the amount on crackers for themselves and give half the money, or if they want, crackers worth half the money to those who can’t even afford candles for their homes on Diwali! Why not buy sweets or food for them! That’ll save the environment, the very surroundings in which they stay, even if the damage avoided is negligible! Every part counts! And also put smiles on some sad faces! Isn’t it a better use of the money without compromising much on your part? And also without going overboard with the crackers! It is a win-win situation! And when it comes to the people who literally torture the stray animals, I secretly wish to do the same to them! Stop them, if you are around such people and if you are one of them then I would not say anything, it is better if you realise that they are living beings! How would you like a poisonous snake tied around your ankle! I bet you would not enjoy the feeling! So, I am going to have fun, burn some crackers, without going overboard and avoid rang mashals! Hate the monstrous fumes coming out of those sticks! Look at this way, If everyone saves one bucket of water out of the two buckets they have, then they can use the other bucket of water the next time without the tension of running out of water! Do I make any sense!? Please be honest! Let me know your vichaars (thoughts) :P .
What you say mirrors my sentiments too . For years I have been against burning crackers and feel that they should be burnt in public places if at all , in limit where everyone can enjoy without harming anyone . Would save so much of money which could be put to better use , save environment to a large extent , yet have the joy of celebrating ! yeah, that's my opinion! have fun but don't waste precious things!